One of a number of small settlements that grew up around what would one day be Houston, Texas, Stafford was originally a cotton and sugar cane plantation owned by William Stafford in the 1830s. It was not until 1956, however, that the city was officially incorporated by the state of Texas. Stafford covers an area of seven square miles and is located in a humid subtropical climate zone, making reliable air conditioning service a high priority for residents and homeowners in this quiet suburban community. At All Out A/C & Heating, we deliver prompt and reliable repair services to keep your cooling system online and ready to provide comfortable temperatures throughout the long, hot summer. 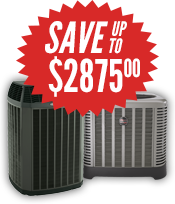 The experienced technicians at All Out A/C & Heating are highly qualified to service all makes and models of modern air conditioning equipment. Our Stafford HVAC repair team offers friendly and courteous service that ensures you are fully informed about any recommended or required repair procedures, available options and the estimated charges for your service call. We have more than 25 years of experience in the Stafford area and maintain top certifications in a wide range of HVAC repair and system installation specialties. 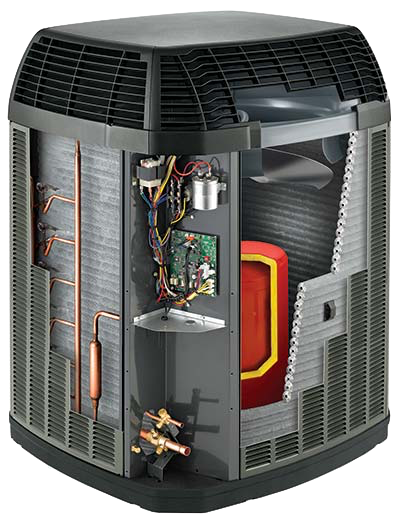 As an authorized dealer for both Ruud and Trane air conditioning systems, we can provide you with the most cost-effective solutions even if a new heating and cooling installation project is required in your near future. By checking to see that your thermostat is properly set and that all circuit breakers are in the correct position, you may be able to avoid a service call. If the problem with your air conditioning system is not immediately obvious, however, All Out A/C & Heating is your go-to company for prompt and accurate Stafford HVAC repairs and replacements. 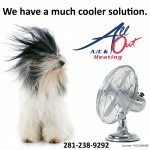 At All Out A/C & Heating, we are committed to providing you and your family with the most effective climate control solutions throughout the year. Our phone lines are staffed 24 hours a day to ensure that your call is answered and your repair is scheduled promptly. Give us a call at 281-238-9292 and experience our first-rate customer care and expert repair services for yourself.